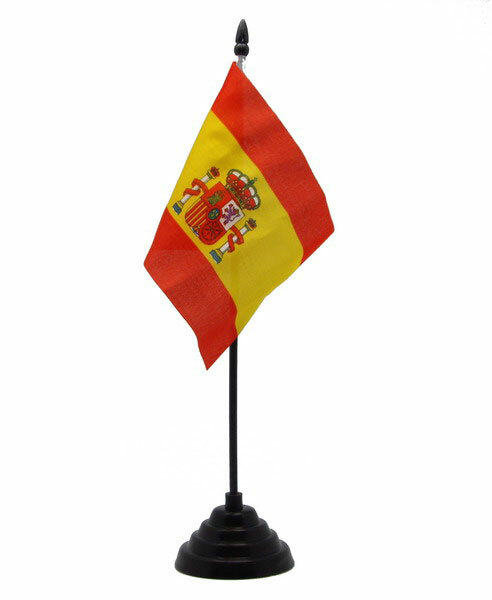 We present you these flags of the spanish flag for the table. There is a black plastic pedestal. These small flags for table with flagstaff of 27cm high and a base of 3.5cm. The spanish flag measures 15 x 10.5cm.